During a crisis it is necessary to stay calm and composed so as to not let the situation get the better of you. It is natural to lose confidence and not be able to think logically in such situations, but know that help is at hand. However bad a situation is, it isn't the end of the world. Hope and prayers can dramatically alter the way you view a situation. Prayers tend to strengthen selfresolve and boost confidence. It helps you think positive and make the right decision. When in a crisis, people tend to be beset by thoughts and possible solutions flit through the mind. A few of these could be negative. There could also be some thoughts that adversely affect others. Keep away from such ideas as they only pull down the spirit and turn you against yourself. Be logical in your approach and mull over the practical possibilities that are nurturing and helpful. Do not hesitate to seek help from unknown quarters. The way out of a situation could potentially be through someone you hadn't even considered. Do not underestimate the abilities of people around you. Take guidance from those who have gone through a situation similar to the one you're in. Discussing it with others will widen your thoughts and you won't feel as alone and helpless. This moral support has a strong calming effect. Losing your temper, blaming others and self-pity is not going to help you out of the crisis. Instead, be wise and diplomatic. It's important to stay away from deeply negative thoughts such as those of self destruction. Be determined to come out of the crisis triumphantly. Keep your eyes on the light at the end of the tunnel. The power of the mind is immense. Positive thoughts in turn sets off positive vibrations that have a calming effect. People can bounce back just be retaining their sense of humour. Look at the lighter side of things without trivialising the problem. This can help put things in perspective and keep you grounded. Do not neglect your health. Be it the mind or the body, nutrition is needed for optimal functioning. Take timely wholesome meals and include liquids, fruit, vegetables and grains in your diet. Skipping meals can do more harm when you're in a fragile emotional state. The thing you want to avoid is a sudden meltdown. Exercise releases endorphins which controls one's emotions and mind. Make time to exercise regularly, be it swimming, walking, yoga or aerobics. This contributes to staying positively energised during a crisis. You should not neglect your hobbies either. Finding time to read, listen to music, engaging in sports and games act as a brain tonic. These also induce easy sleep, something that is at stake when you are worried. 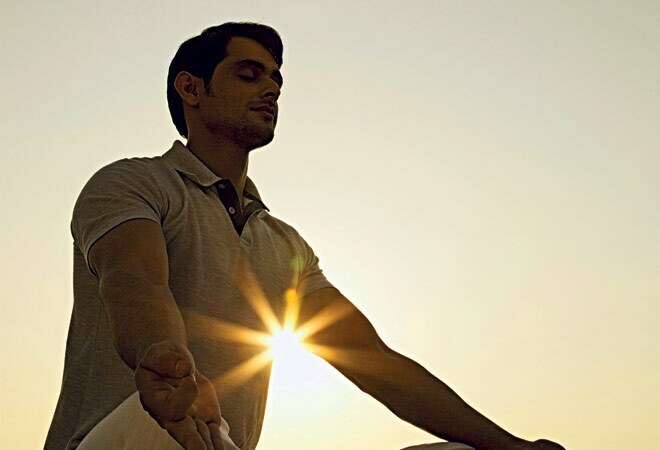 Yoga is a holistic tool that cultures and nurtures the physical, mental and spiritual self. The power of breathing, pranayama and meditation cannot be equated with anti-depressants or anti-anxiety medication. Indulge in the healing power of yoga and breathing exercises to feel balanced when everything seems topsy-turvy. It's a simple tool that's often under appreciated.